Our church app guide helps you find the right church app provider. Everyone needs an app, right? If your audience wants an app, then give it to them. If they rebuke it, ditch it. If they just want a way to connect, figure out a way that works for you in your context. That's why I created this Church App Guide: to help you determine the why, what, and how of your church app, and who may be the best church app provider partner for you. You can read the article below, or click the button to skip the article and go straight to the form and download your assets. When was the last time you downloaded and used a new app? I downloaded one last week ... for my son. He played a game for about twenty minutes, got bored, and said it was lame. That's app culture in my family. And you know what - it's app culture for your audience too. As much as you think you need an app (you do), it's not as critically important as you think. People download less than an app a month. Outside of social media apps, people aren't really engaging in-app. Church apps are rarely used, averaging less than four minutes a week of engagement for active users (about ten if sermons are online). Every church context is different. If you can launch an app effectively and get it to a 70% saturation rate within six months, you can do anything you want with it. But that's not the norm. Most churches start slow and scale 5% new growth month over month. That's good too. But every church is different. What works for one, will not work for the other. This is something you need to consider when you get ready to launch your new church app, or make the switch to a new church app provider. The marketplace is crowded, and every platform offers the same basic core features: sermon audio and video, integrated giving, notes, rss feeds, and notes. This is all core, but the issue comes down to how different platforms leverage each of their core components. While church app providers focus on the overall customer experience, customers tend to focus on the things that mater to them. They are therefore drawn to the things that make each provider unique. Some app providers leverage their apps for media. 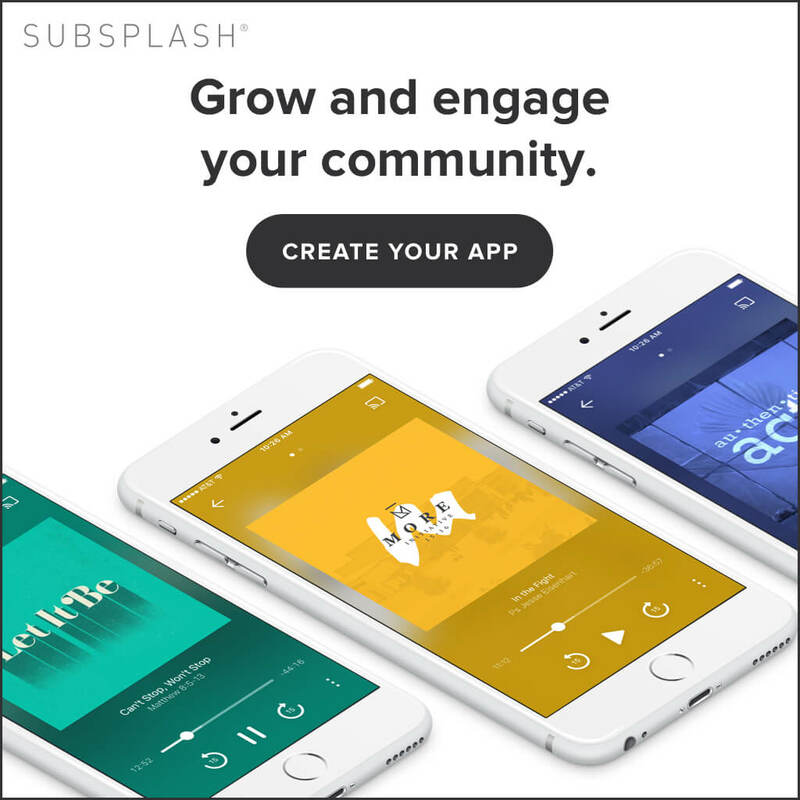 Subsplash does an absolutely amazing job providing this service, with an option to carry their service over to your website via link or embedded code. Other platforms leverage their expertise in offering a fully-realized giving solution, like Tithely. Most church app providers are solid, but each has their special niche. As you are considering your various options, remember that every company says they're the best (that's cool), but if you are good at everything, you are great at nothing. Give more weight to the company that will be able to maximize your ministry sweet-spot. Sure, these companies are good for other things too, but this is what they are becoming known for. And that’s a good thing. Churches have different focuses, so these perceptions matter. One of the things we love most about Tithe.ly is their ability to be flexible. "Like no other company we've worked with, we said 'hey, we really need this, or can you help us with that' and BAM, right away the've been on it. This attitude has really helped our digital giving make a big jump and our church app be so much better than it was previously - and we thought we had a great one. 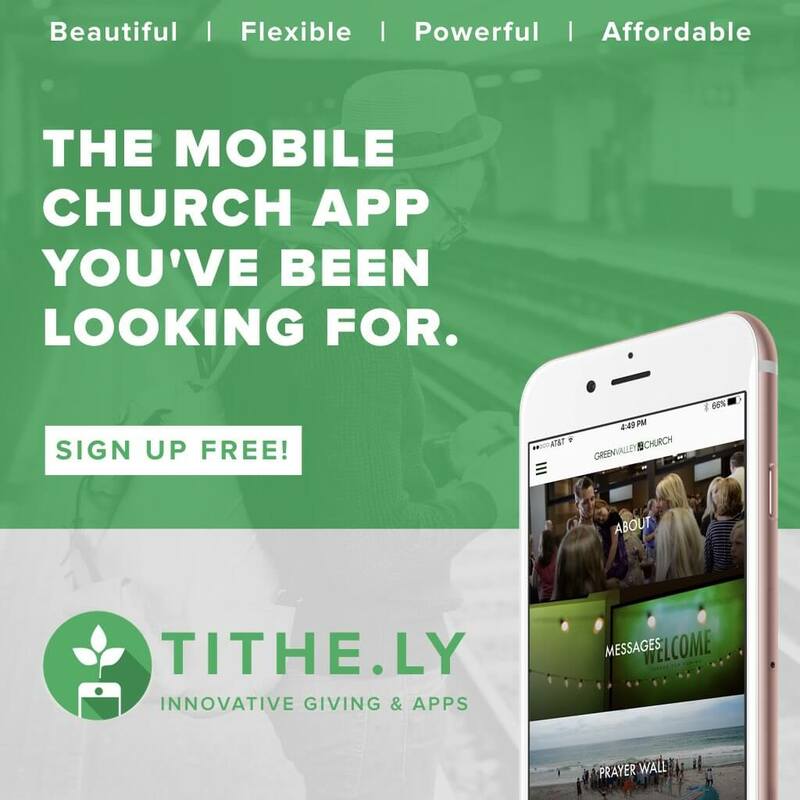 We highly recommend Tithe.ly; we love them!" "Do we want our content to be accessible on the devices our audience is using, and will use in the future? If the answer is “yes,” then there is simply no alternative to Subsplash. There really is no alternative in terms of reach potential, stewardship of resources, platform stability, support, and every other category." We use especially for online giving and learning how to utilize for community! "I like the ease of use for me. I really like the simple way it is streamlined for someone of my limited electronic skills to be able to function and accomplish the tasks I am expecting to complete. We really love it for our online giving and it tracks very well for our accounting department." Within 24 hours, we had already seen 50% of our goal come through the Pushpay platform. "Before our campaign was even over, we doubled our goal and actually had to end the campaign early! And the really amazing thing is that once our campaign was over, we saw an increase in regular gifts to the church, too." I would love to be able to say that everyone is on a level playing field. The truth is, they're not. Various sales and marketing teams have made the water a little muddy and there are inaccurrate statements floating around that make it more difficult for churches to choose the right solution that will work for them long-term. Let's tackle the most common myths and move forward accordingly. "Apple is going to shut your app down." No they aren't. This is not true, and it never was. Several months ago, Apple changed their App Store guidelines in an effort to get rid of redundant apps. There were a lot of church app platforms that started using this as a sales point, and it mislead or forced people into making rush decision. Not pointing fingers here, but when you react instead of respond, it often ends up hurting people in the long run. I spoke with Apple directly, and you're good; don't stress. 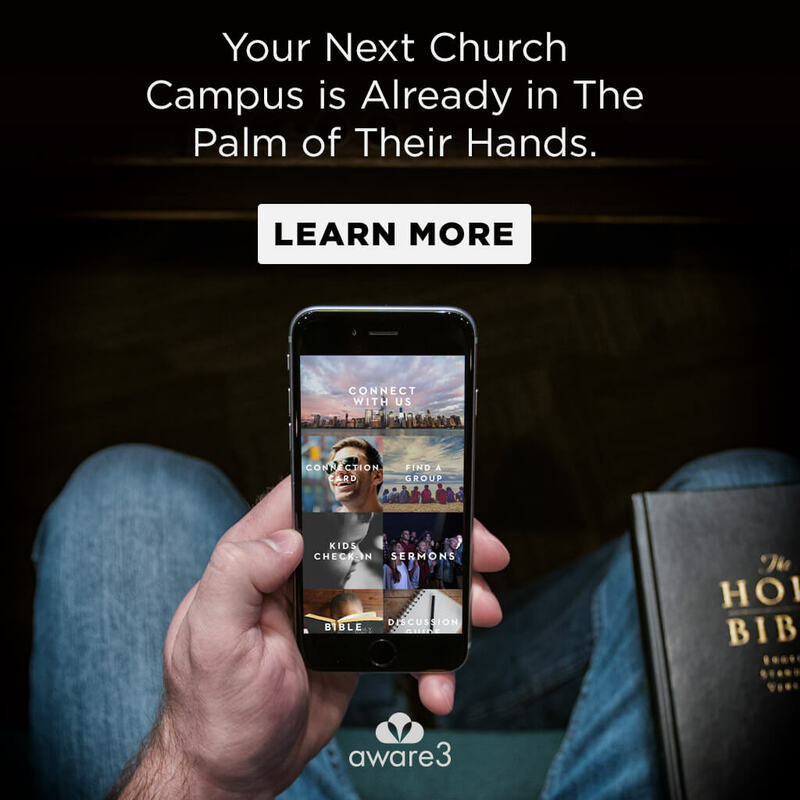 You can have a stand-a-lone church app or be a part of a container app (a unique experience within a companies app) if you'd like. "We are the only enterprise level provider." This cannot be a statement to hang your hat on or one to land a client. I’ve seen large churches on every platform, with no issues. This is a non-starter issue. Check out Capterra and see for yourself. "We have the best rates." Could be true. Could be misleading. You have the best rates for what? What is your swipe rate? Does it scale according to volume? Is there an app fee, a monthly serve fee; why am I being charged and for what? This is why we have a rate sheet for you at the end of the post. We have everyone rates. They gave it to us. Now it's yours. "We are the only ones that integrate with ____ (ChMs)." Oh man; integrations. This has got to be one of the most common selling points, and I have to tell you, it's just not right. Look. There are some providers that have more integrations with ChMs (Church Management Solutions) than other providers, but that's not the right question. The right question is, "Do you have an integration with _____ (your ChMs) and how often does it fail?" Ask around, and you'll soon find out that while the statement may indeed be true, it could be very misleading. Find the solution that integrates well with your solution, and go from there. Everyone wants to hook you up. In addition: Most companies have offered discounts based upon the transaction volume of the church (must also have giving enabled within their app). Let's make your app pop! What does my church app need to do? Your church app needs to do what you want it to. It's like the chose your own storybook adventures we used to read when we were kids - we determine what it needs to do. That's why you need to use the provider that works for you. It's totally your call. Once you understand that your app is for your internal audience, your website is for your external audience, your feature-set comes into full view. That's it. This is what people are looking for. Does it mean they are only looking for these three things? Of course not; there is no ceiling. But this is what the data says, so I say, give them what they want. But even on groups, most would rather connect with their church friends via social media. With that being true, and Mark Zuckerberg making Facebook Groups his highest priority, I say let people connect with one another on their terms. You just deliver the right experience. These are the things it needs to do. But what about app providers? What do they need to do? Every church context is different and the reasons for wanting or needing an app vary greatly. You know that every church app provider has a sweet spot and the key is to find the one that works best for you. You know that while everyone is on a level playing field, there are those that rise above the crowd (they're also the ones that we included in the cost and features chart). We've dispelled common myths, told you what your app needs to do and what your church app provider needs to do for you. Now ... you're probably ready to download the chart. Enter your email in the form below, and you're on your way! Enter your email below and receive in your inbox: A guide on How to Launch Your App Effectively, a PDF of this post, and a cost and feature comparison chart between a few of the most popular church app providers in the marketplace. Disclaimer: The information included in the chart is done to the best of our knowledge. All information was submitted by the app providers via online secure form. We used each platform’s most feature-rich option to create an even field. Because of this, we did not include any special rates or sales for any platforms. Some platforms increase in cost, charge monthly fees, and scale according to service level. Pricing was done on a month to month basis. Some providers have better yearly options and sales on a quarterly basis. We receive no kickbacks (no affiliation) from any of the church app providers, though all have sent us gifts along the way as a way to say thanks for helping clients find the right platform that works for them.